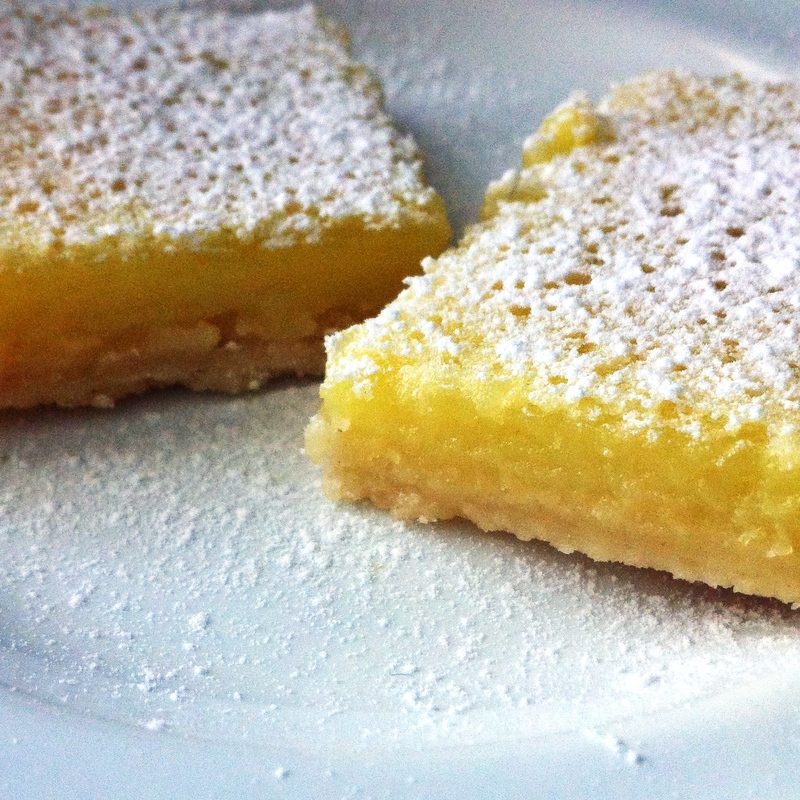 lemon bars | omfg. so good. 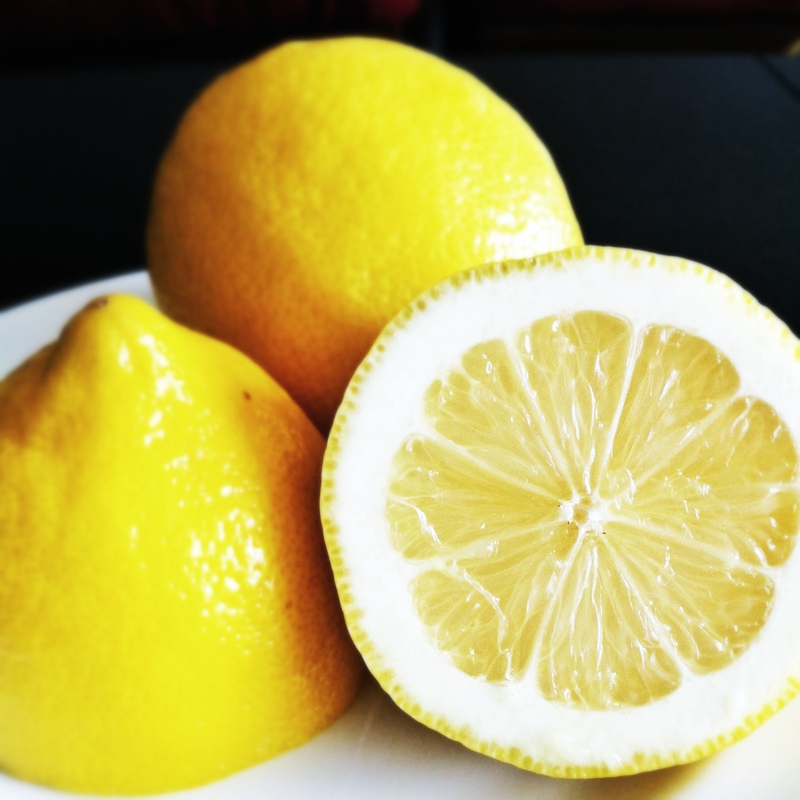 Pucker up… it’s time to talk lemons. I don’t know many people who don’t like the tang, yet sweetness of a good lemon bar. And when the stars align over your kitchen and you end up with the right ingredient/technique combination to produce the perfect crust compliment, all is right in the world. All was right in my world when Picky Eater and I made these. At least for a day. Make the crust. Shred the butter on a cheese grater then set aside. Whisk together flour, powdered sugar and salt in a large bowl. 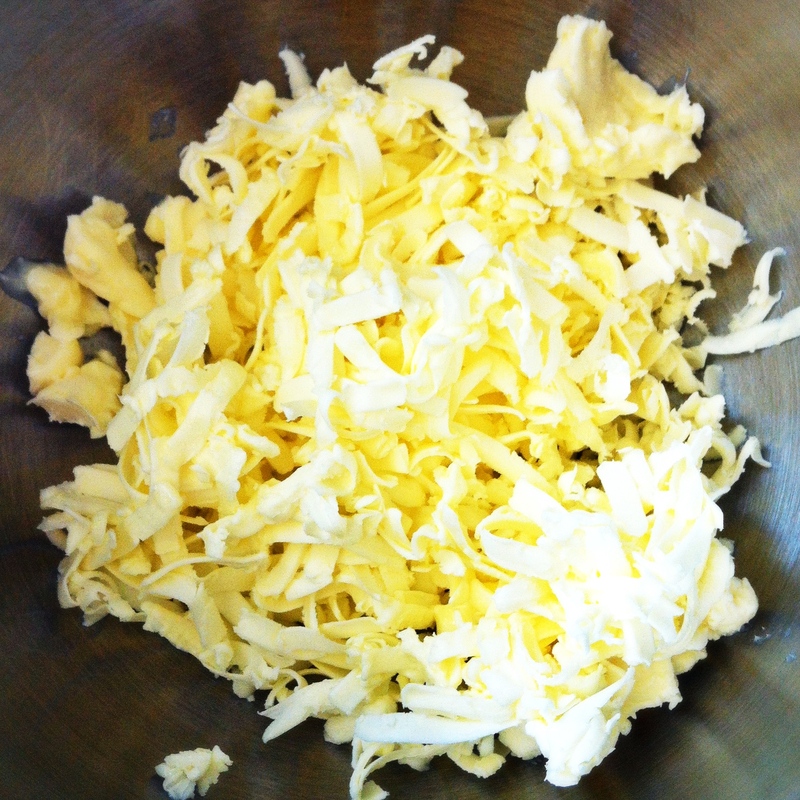 Add the butter and stir with a wooden spoon to combine and crumbly in texture. Press the crust dough evenly into the bottom of the prepared pan and freeze for 15 minutes. Bake in preheated oven for 16 – 18 minutes or until light golden brown. Leave the oven on but reduce the temperature to 325 degrees. Make the filling. Whisk together the eggs, sugar, flour and salt until smooth. Stir in the lemon juice and milk then pour over the hot crust. Bake in the preheated oven until filling is set and the edges are slightly brown, around 18 minutes. Transfer to a wire rack to cool slightly then lift out using the parchment paper as handles. Let cool completely on the wire rack before cutting into 2″ squares. Dust lightly with powdered sugar. Eat one. Or two. they taste as good as they look. : ) thanks for the comment and the follow, i’ll check out your blog later this afternoon!